Barter Books : Cunliffe, B W; Renn, Derek; &c. : Society of Antiquaries Annual Report. 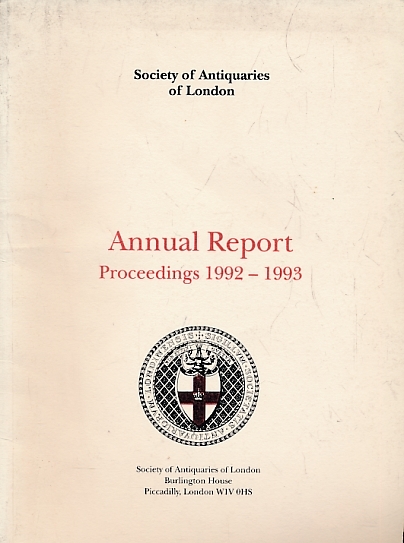 Proceedings 1992-1993. 240 x 180 mm (9 x 7 inches) - 105pp.